From Amazon.com reviewer Second Attention: “For lovers of classical/new age music with a medieval feel. The twelve movements that make up this masterpiece flow into one another and carry the spirit of the story in such sublime unity that it’s hard to wonder how anyone could create this music without divine intervention. High praise indeed, but for lovers of atmospheric and beautifully crafted instrumental music (Richard Souther’s Vision for example) then ‘Joan of Arc’ is an absolute joy. ‘Path of Angels’ and ‘The Maid’ do deserve particular attention as they are pieces of music that capture the essence of the whole work providing almost ethereal atmosphere and melody. 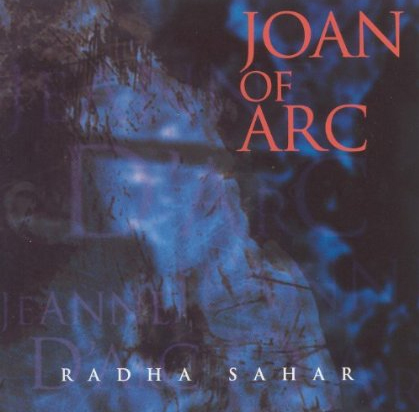 With ‘Joan of Arc’, Radha Sahar has created music that connects deeply with the spiritual element of sound, form and melody that many people choose to ignore within themselves. This is a work of extraordinary importance in our times, executed with passion and superlative skill. Posted in Classical/New Age, Free instant access, Instant Access, MusicTagged Joan of Arc, joan of arc music, rasha saharBookmark the permalink.